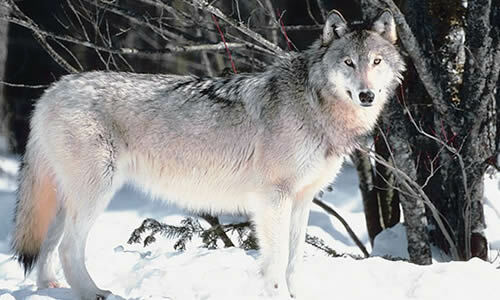 A large, long-bodied wolf; well-muscled in the sprightly way of youth. Thick, pale-grey fur with rosy-taupe accents, fading to white on his belly, legs, and cheeks. Gold-leaf eyes. Got older, decided to strike out on his own! Also the cousin of Grayday and Sunspot, because why not?